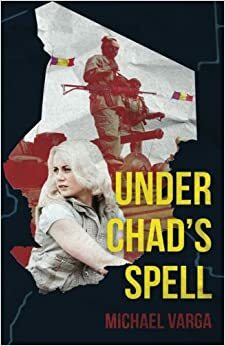 This is an excerpt from Under Chad’s Spell, a novel by Michael Varga, based on his experience as a Peace Corps Volunteer in Chad. 726 PCVs served in Chad over several years in four different segments. Peace Corps is no longer active in Chad because of security issues. PCVs now serve in other African countries in west and central Africa and no doubt could have experiences like the ones described here. Madison the character mentioned here is a Peace Corps Volunteer. About a month earlier, Madison made one of his rare visits to Medina’s hut. She lived with another woman who had similarly muddled her standing among Chadians in crossing the color line with a French soldier. Medina invited Madison to come and have dinner with her and this other woman and their numerous children, brothers, cousins and other hangers-on who lived in the nearby huts. It was a big event for them to entertain the nasara, and just about anybody who even had a passing acquaintance with Medina or the other woman had shown up to eat, but more importantly, to watch and perhaps talk to the nasara. Madison was startled to see how many people had gathered to eat with him. The two chickens that had been killed for the meal would barely allow a sliver for each person, but Medina pulled some large pieces of the chickens from their bones and put them in front of Madison. After all, he was the guest of honor. As was the Chadian custom, all the men sat together while the women served. If there was anything left from the men, the women and children would share that afterwards, removed from the men. The men kept asking Madison about the unrest in the capital. Rumors continued to fly that a coup was imminent, that Muammar Khadafi, Libya’s leader, was intent on making all of Chad part of Libya. They were vehement in denouncing Libyans, although not one admitted that he had ever met one. Madison jokingly asked how they would recognize a Libyan, and the men sat in silence, evidently not finding any humor in such a challenge. After the men ate, someone put a radio on and they started pressing Madison to dance. As the women and children nibbled on the leftovers, Madison called Medina over, and as they started to move rhythmically to the static-filled sounds from the radio, other men grabbed other women and soon the hut was surrounded by bodies swaying to the beat. There were many more men than women so a number of the men danced together or danced alone. As the night wore on and the beer ran out, Madison grew a bit uncomfortable with sitting in the presence of all of these Chadians, staring at him. They had covered the topics they could discuss, so no more words were being exchanged. They had danced to more than a dozen songs. The food had long ago run out (long before the beer), and Madison felt he could graciously take his leave. He shook the hand of every person present. Medina said she would accompany him. Madison told her he was sure she was tired from all the cooking and preparations and it was better if he went home alone. Medina’s hut was only a couple of kilometers from Madison’s house and Madison had walked the paths several times in daylight, including earlier this evening. But this was the first time Madison tried to find his way home at night and, unfortunately, there was no moon. The night was a black sheet, broken only by the dim beam of his flashlight. Strange whining animal calls and falling branches seemed to be always just behind Madison as he stepped forward. He gripped the flashlight, pointing it in a wide arc as the path twisted and turned. He tripped on a branch that had fallen across the path and grew more unsure whether he was heading in the right direction. Where was his Virgil to lead him into the clear? He circled the pathways for a half hour, passing clusters of huts that he thought looked familiar, but when he spied a person smoking some tobacco before one hut, then a woman cleaning pots next to a fire, he realized he’d been mistaken and these were not the huts he thought they were. He was lost. He considered retracing his steps to find Medina’s hut, but he wasn’t sure he could even do that. He heard a boy’s voice calling out “Petrol! Petrol!” He waited for the boy to come closer, thinking he might know Medina and be able to lead him to her hut. He turned the flashlight beam on his own face so that the boy would see him. But when the boy saw him, evidently shocked at seeing his white face lit up in the black night, he cried “Kaii! Nasara! Kaii!” In fear, he ran in the other direction, spilling the kerosene as he fled. Madison decided he had to be methodical in finding his way back to Medina’s hut. He turned around and started heading back in the direction from which he had just come. He wasn’t certain he was making the right move, but as he walked, he thought things looked a bit more familiar. He shined the flashlight toward the sound and saw the face of a young man he didn’t recognize. For a second, he thought it might be one of his students, but despite the size of his classes, he knew every student’s face and he did not recognize this one. Yet there was something familiar about it. “Who are you?” Madison asked in French. Madison was loath to admit that he was, but he knew there was no point in pretending he could find his way home on his own. Bousang turned and led Madison back up the narrow path. The thick ropy vegetation limited the path to the width of just one person. After about fifteen minutes of walking in silence through the darkness, the path widened as they neared the center of Baibokoum. Madison walked next to Bousang. He took his hand. Madison had grown at ease over these months with the Chadian custom of men walking together, their hands loosely touching in a slight grasp of each other’s fingers. There was nothing more than friendliness implied in two men walking with their hands touching. A man and a woman would never touch each other in public, whether they were married or not, but two men or two women would always have some physical link to the other person if they were friends. It was the Chadian way. Bousang’s hands were rough from working in the cotton fields around Baibokoum. Madison asked him how he spent his time. He told him he worked the fields, but he had been to school and had hopes of returning. His French was good and that impressed Madison. Bousang couldn’t have been more than twenty years old, and Madison realized now that he had talked briefly with Bousang earlier in the evening at Medina’s. He was the one who had asked about African-Americans, how they managed in America and whether they ever thought about coming back to live in Africa. Madison answered that slavery had been a crime and that the younger generations of African-Americans he knew were too far removed from life in Africa to want to return. When they got to Madison’s house, he turned off the flashlight. As they stood side by side in the darkness, Madison thanked Bousang for helping him, asked him if he wanted a drink of water or a Fanta before he headed back home. Without answering Madison, Bousang let go of his hand. In the darkness, Madison could sense Bousang was moving closer to him.